Trusted Security Features - 64/128/152-bit WEP Data Encryption, Mac Address Filtering and much more! 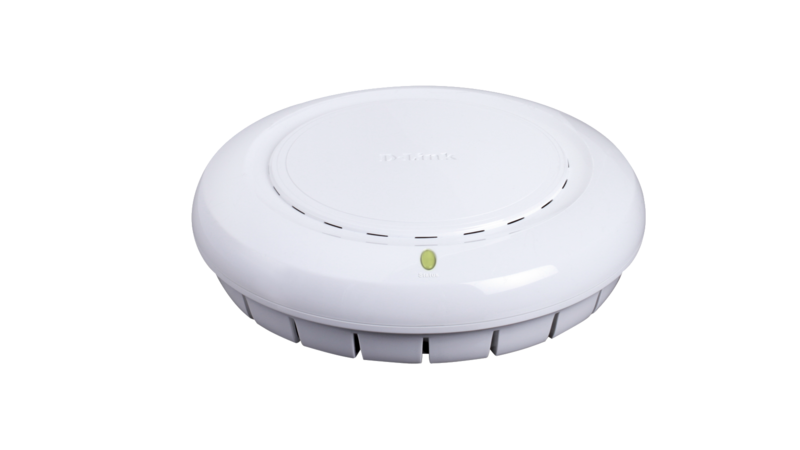 The DWL-3260AP is round in shape and can be camouflaged as a smoke detector so as not to attract attention. Its diagnostic LED can be turned off to further reinforce the impression of being a smoke detector. For installations in areas where power outlets are not readily available, the Access Point (AP) integrates 802.3af Power over Ethernet (PoE), to ensure flexibility and easy set-up. 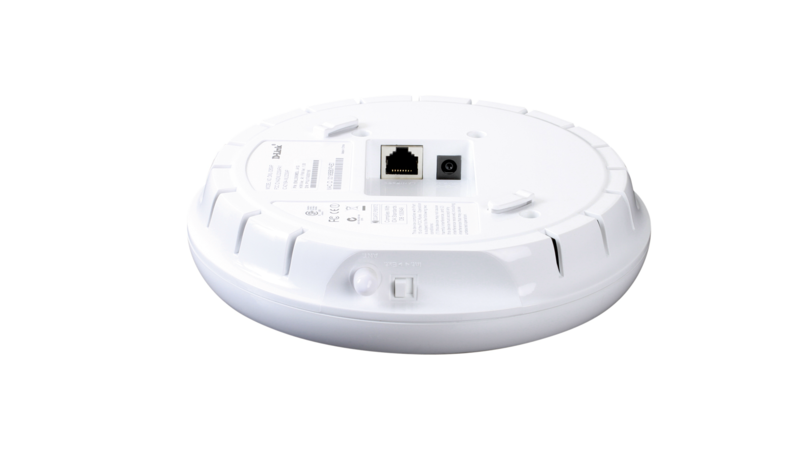 From a ceiling, the DWL-3260AP can obtain power from a PoE switch located as far away as 100 meters through unused pairs of the existing network cable. The DWL-3260AP delivers extremely reliable wireless performance with standard 802.11g wireless throughput rates of up to 54Mbps. It has the added capability of reaching maximum wireless signal rates of up to 108Mbps (Turbo mode) powered by D-Link 108G technology*. At the same time, the DWL-3260AP remains fully compatible with IEEE 802.11b and 802.11g standards. The DWL-3260AP provides industrial grade wireless security by supporting both WPA and WPA2-Enterprise as well as 802.1X to ensure complete network protection. Other security features included in this Access Point are MAC Address Filtering, Wireless LAN segmentation, Broadcast SSID disabled, and support for Advanced Encryption Standard (AES) data encryption. To maximize total return on investment, the DWL-3260AP can be configured to operate as an AP (AP mode), a point-to-point bridge or a point-to-multipoint bridge (WDS mode). In the WDS mode, the DWL-3260AP only communicates with other wireless bridges, without allowing wireless clients or stations to access them. In this scenario, the built-in omni-directional antenna may be disabled via a slide switch and the AP fitted with an external high gain directional antenna. 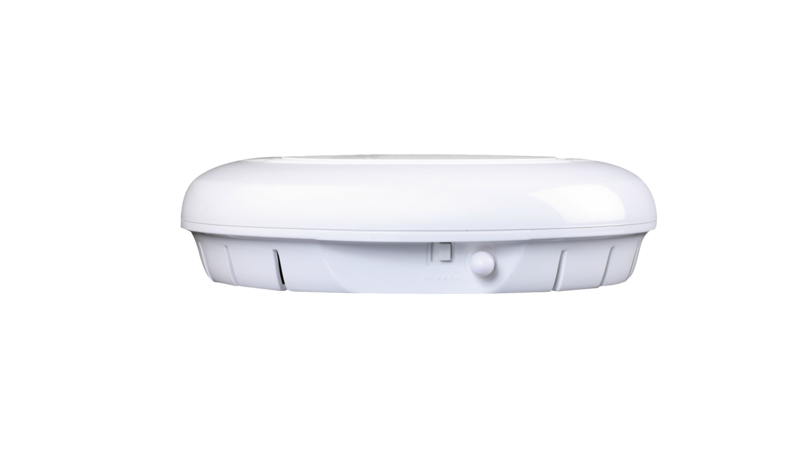 The DWL-3260AP supports multiple SSIDs, allowing you to logically divide your AP into several virtual Access Points, all within a single hardware platform. For instance, you can enable encryption and authentication on one SSID to protect private applications and opt to not enable security on another SSID to maximise open connectivity for public usage. With multiple SSIDs, the number of physical APs deployed may be reduced, minimising interference and keeping costs down. In addition, the number of users associated to a particular SSID may be capped, providing a form of bandwidth control for particular applications. Network administrators can manage all the DWL-3260AP's settings via its web-based configuration utility or with Telnet. D-Link's AP Manager or D-View SNMP management module may also be used to configure and manage multiple APs from a single location. In addition to a streamlined management process, network administrators can also verify and conduct regular maintenance checks without wasting resources by sending personnel out to physically test that the device is functioning correctly. *Maximum wireless signal rate based on IEEE standard 802.11g specifications. Actual data throughput will vary. Network conditions and environmental factors may lower actual data throughput rate.